We're proud to feature works from some great local artists on our site and instore. Interested in learning more about them or purchasing one of their pieces? Details below. Adam's influences are the works of Salvador Dali, landscapes of the Mornington Peninsula, the destinations he visits, people he interacts with and meeting other artists. Classic Lines Artist - Mike Harbar is English born and bred and has a passion for drawing cars, boats and planes. 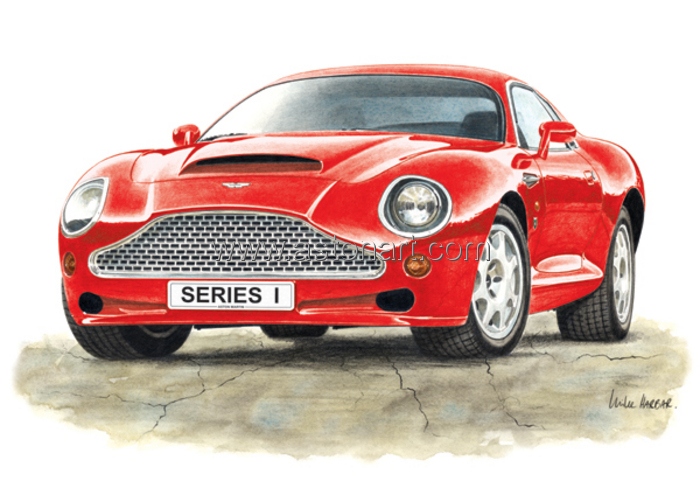 With over 25 years experience as a freelance illustrator, he has drawn the lot from AC Cobra to Zagato. Since emigrating to Australia in 2000 Mike now lives on the Mornington Peninsula, continuing his work illustrating for hundreds of happy clients world-wide, producing commissioned artwork for magazines, car specialists, club events and private enthusiasts. An award winning artist, Emily Holsman lives and works in the idyllic coastal village of Balnarring on Victoria’s Mornington Peninsula. The images she creates are both beautiful and joyful. Each one stirring feelings of pride, achievement and satisfaction.